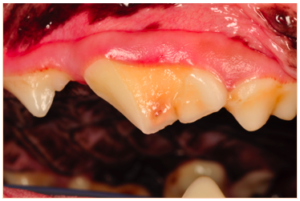 Dental trauma and fractures are very common in both dogs and cats. In dogs, the most common cause of dental trauma is from chewing hard objects such as real bones, nylon bones, antlers and bully sticks. Absolutely no tooth that has been fractured should be ignored. 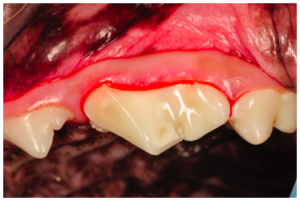 Restoration of teeth with dental fractures is almost always recommended and can be as simple as application of a clear dental sealant or more involved crown restorations with dental composites and full prosthetic crowns.  In pets, the goals of dental restorations are to restore the normal function of teeth, prevent sensitivity and endodontic disease and reduce the susceptibility to future fractures and periodontal disease. Any tooth with a damaged crown should be first evaluated with dental radiographs to determine the most appropriate method of restoration.